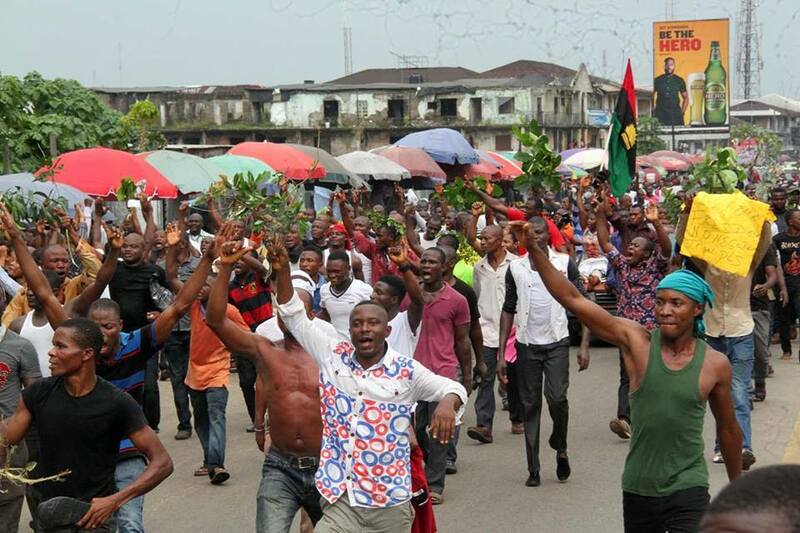 It was a thing of shame and disgrace to William Obiano the present Governor of Anambra State who has been committing all kinds of genocidal act on Innocent Biafrans across the State to witness the rage of angry youths as he (Willie Obiano) and his campaign team, were chased away by these angry youths yesterday being October 26, 2017 from their campaign Ground in Orumba North Local Government Area of Anambra State. Report Reaching Family Writers Press news desk has it that the Formidable Youths stormed the vicinity chanting No Election! No Election! No Election! 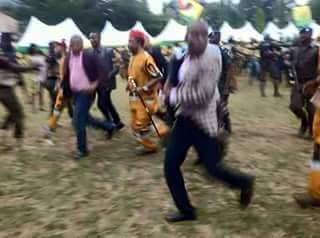 which finally resulted to the Governor Running away from his Campaign ground in Anambra State Biafra Land. Recall that come November 18, 2017 is declared Sit At Home /Election Boycott by Nnamdi Kanu the Supreme Leader of the Indigenous People Of Biafra (IPOB), which made Nigerian government to invade his home and whisked him away and till date his whereabouts is still unknown. Nigerian government in collaboration with all the South Eastern Governors are devising various dubious means to thwart the Sit-at-Home / No Election order by the IPOB, but what happened to Willie Obiano should be a reference to how determined Biafrans are to obey this order in Toto. Obiano can never stop our declaration for Election Boycott because the IPOB remains the light of truth and honesty. Our Stand For Election Boycott still remain Sacrosanct and unchangeable. Obiano shamelessly Ran away from his proposed Election Campaign ground, but the questions we want to ask him is: what happened to his paid political thugs including the bloodthirsty, trigger happy, murderous Nigeria soldiers who I believe must be on the campaign ground with him? Why didn't hm order them to shoot the angry protesting youths who stormed his campaign ground chanting no election! no election! Could it be as a result of unanswered cases of murder and the spirit of our brothers and sisters whom he killed untimely, hunting him day and night? we need an answers to these questions because we surprised. On Behalf of Family Writers Press International (FWPI) and IPOB Leadership, we urge all Biafrans resident in Anambra State to remain strong and resolute in boycotting the elections across the states in Biafra Land. Never again will our destinies be toiled with by these dubious politicians. We all Should take note that total Election Boycott across the states in Biafra Land is our ticket to Referendum, which of course will put to an end the Killings, illegal arrests and molestation of our Women by Hausa Fulani Cattle rearers in our land. In fact, it will be an end to our misery in its entirety. the child that say's that his/her mother will not sleep shall by no means test sleep.